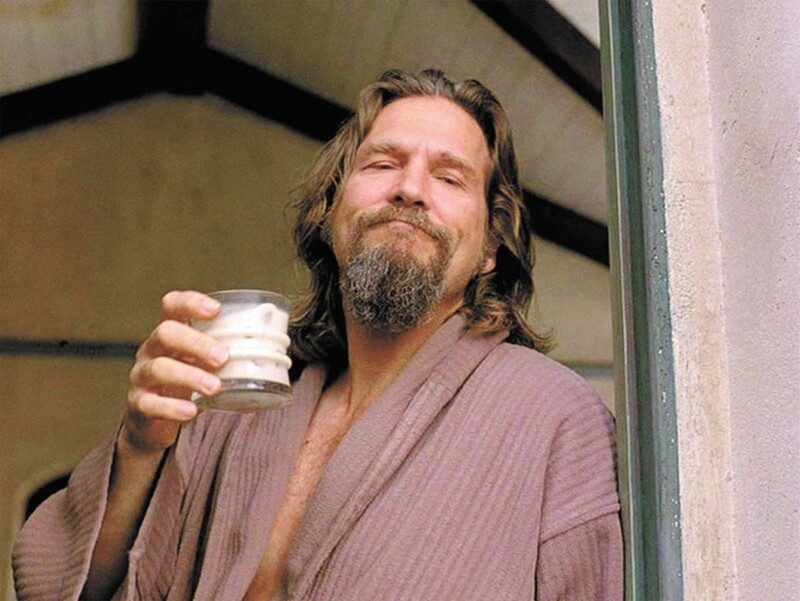 Besides White Russians, the Dude liked his pot. Holiday movies are upon us, which means you're either stuck with re-runs of Rudolph, a pellet-gun-wielding Macaulay Culkin, or a Bing Crosby musical. Sure, blockbusters the likes of The Hobbit: The Battle of Five Armies and Exodus: Gods and Kings will grace the theaters, but why not take time this holiday season to review the cannabis canon of films? Just last week, Seth Rogen invited Colorado fans to smoke pot with him before a screening of The Interview — the Christmas Day release that sees Rogen and James Franco land an interview with Kim Jong-un on their celebrity TV show. While it's unknown — yet likely — whether the movie will have a cannabis theme, there's no time like the present to get acquainted with stoners on the big screen. Here's a list of cult classics in chronological order (the '90s were a great decade for cannabis comedy). Up in Smoke (1978): Two stoners unknowingly smuggle a van made entirely of marijuana from Mexico to Los Angeles. Featuring Tommy Chong and Cheech Marin. Dazed and Confused (1993): The coming-of-age comedy follows students on their last day of high school and middle school in 1976. Featuring Jason London and Matthew McConaughey. Clerks (1994): The gritty story of a day in the lives of two convenience store clerks and pot dealers, Jay and Silent Bob. Featuring Kevin Smith and Brian O'Halloran. Friday (1995): Sixteen hours in the lives of two stoners who must repay a drug dealer $200 by 10 pm that night. Featuring Ice Cube and Chris Tucker. Half Baked (1998): The story of three men who are forced to sell stolen marijuana to get their friend out of jail. Featuring Dave Chappelle and Jim Breuer. The Big Lebowski (1998): The Dude seeks restitution for his ruined rug with help from his bowling buddies. Featuring Jeff Bridges and John Goodman. Harold & Kumar Go to White Castle (2004): Roommates embark on a stoner's quest to eat White Castle hamburgers. Featuring John Cho and Kal Penn. Grandma's Boy (2006): A 35-year-old video-game tester moves in with his grandmother. Featuring Allen Covert and Linda Cardellini.